The Maxi-Cosi Pria 70 is a nice looking seat with better than average padding. It scored better than average for crash tests, and it has nice fabric that feels soft to the touch and breathable. Unfortunately, this seat scored about average for most of the metrics we tested, and while it did perform better than about half the products in this review, it still isn't enough to make this an option we love. With a list price that is only about average and other seats earning more points with similar or better prices, the Maxi-Cosi struggled to keep up with the competition despite looking sharp in a side-by-side comparison. Maxi-Cosi is a European company that launched their first car seat in 1984. They started in the Netherlands and claim they brought the very first car seat to Europe. The company has grown significantly from their early days and is now one of the leading manufacturers of baby products including booster seats, infant seats, convertible car seats, and strollers. The comparison chart shown here includes the overall scores for each car seat tested in this review including the Maxi-Cosi (in blue). The information in the sections below includes details on how the Pria 70 performed during our testing. The Maxi-Cosi sled crash test data indicates that it offers an additional margin of safety over many of the other seats in this review. The crash tests are designed to mimic the same specifications as those used by the National Highway Traffic Safety Administration (NHTSA) in their testing, and they were developed to determine if seats meet the Federal safety guidelines outlined in the FMVSS 213. All of the seats in this review, and on the market, must meet the guidelines for safety, and therefore should be considered as safe. The results for the Maxi-Cosi compared to the Federal limits and the competition both indicate that it exceeds the requirements and results from some of the competition. The charts provided below show the crash test results for the sensors located in the head and chest of the test dummy used in the Maxi-Cosi seat (shown in black). The Essentials by Britax Allegiance earned a 186 which is a better result than the Maxi-Cosi result of 335.9. 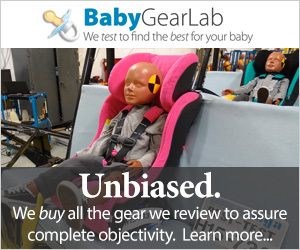 The sensor in the test dummy head used with the Britax Allegiance has the lowest G-force results as a result of the crash test. The Clek Foonf had the least amount of G-forces recorded in the chest sensor than all the other products tested (both in green). We tested every convertible seat in a minimum of 3 different cars by multiple testers to collect data for side-by-side comparison. The Maxi-Cosi earned a 7 of 10 for this test. The results were about the same for forward facing as they were for rear facing, though some testers felt it was an easier accomplishment rear facing in the Subaru Outback than any other combination of car or direction. Using the LATCH anchor should be easier than the vehicle belt, but the Maxi is about the same with both methods. The LATCH anchors are relatively easy to use and about average for getting the seat at the right angle and the anchor strap tight enough. Loosening is a little harder than tightening, but both are better than much of the competition. The recline adjusts with a foot on the bottom, and the molded line on the side of the seat needs to be parallel to the ground for proper installation. The Cosi earned a 7 of 10 for ease of install using the vehicle belt with 7 being the average for the group of products. This seat does not have a built-in belt lock-off which makes it somewhat less convoluted than some of the competition. Threading the belt in a forward facing position is a little more difficult as the seat is rigid and cannot be moved to fit your hand through. If your hands are large, this might make the task near impossible. You can slide the headrest all the way up, and this will make it somewhat more manageable, but it would be nice if the belt path were user-friendly. Because it lacks a belt lock-off, you will need to engage the locking mechanism on your vehicle belt or use the metal lock off that comes with the seat. It will take some work to tighten the belt and get the seat in the right position, but overall it isn't as tricky as some of the competition. In a rear-facing position, we had trouble getting the belt tight enough, and the seat itself slid around with minimal prompting from us. The Maxi-Cosi Pria earned a 5 of 10 for ease of use. The highest score out of the group was an 8. The Maxi-Cosi buckle is the easiest and by far our favorite in the group. We like how the buckle pops open when you press the button, which means you do not need to remove each side individually. The chest clip is marginally less impressive, but it is easy to use and won't require two hands unless you want to. Shoulder height adjustment has nine available positions and is moveable without rethreading the straps. The headrest/height adjustment is moved by pushing the button and pulling or pushing on the entire rest to the appropriate height. The Pria is easy to use and works with the baby in the seat. The crotch strap has three positions, and the two together work well for offering plenty of size options to find the right fit. Unfortunately, the seat we purchased broke mid-way through testing, and it lost points for this issue. In ordinary use, the height adjustment should lock into place on the back side of the seat by using the headrest adjustment as described in the manual. For us, the back mechanism stopped automatically locking into place when moved, and we had to push the mechanism into the locked position manually. There is no way to tell if this is a problem with just our seat or if it is a design flaw, but it does give us pause. Given that we do not put the seats through the same rigor as ordinary everyday use over several years, we worry this might be an issue for others and felt it was worth mentioning. The tightening and loosening mechanisms are both located at the foot of the seat. The strap is relatively easy to pull. The lever to loosen is located under a flap of fabric somewhat hidden from the baby, and it is harder to use. The LATCH anchors on the Maxi clip under each side of the shell near the bend in the seat. The tether clips to the back of the base. Neither location keeps the straps out of the way, but at least the anchors won't be flying around the car and causing potential injuries. The fabric cover on this seat is harder to remove than some of the competition thanks to the snaps and headrest. However, once you get it off, it is machine washable in cold water and dryable on a low setting. This method can come in handy for deep cleaning as the fabric is so soft we wonder how well it will spot clean. The user manual is kept under the fabric next to the shell and has a tab label that allows you to find it quickly. This Maxi-Cosi is a lovely looking car seat and appears to give more than one nod to the comfort and quality metric when compared to the competition. However, its overall score comes in just about average for the group with a 6 of 10 in our tests. The fabric on the Maxi-Cosi feels soft and comfortable for long periods of sitting. The main seat padding is thick enough that you can't feel any lumps or bumps, and it disguises the hard plastic shell nicely. The infant insert does not add much padding to the equation, unlike some other seats where most of the padding is in the insert, but this isn't a deal breaker for us because we don't advise the use of convertible seats for infants anyway. The foam in the headrest/SIP area is an open cell foam surrounded by a thin plastic to slow the release of air upon impact. It is soft and nicely padded and while intended for safety, will also add some comfort to the equation if your child's head to loll while sleeping in the seat. The outer plastic shell is somewhat more contained than the Graco MyRide 65 LX, but the back is relatively open and exposed. This feature isn't a great concern, except that the back has the height adjustment mechanism that can get pretty dirty and will be near impossible to clean well with all the nooks and crannies. However, if the back weren't open and exposed, we wouldn't have been able to use our seat at all because we wouldn't have been able to manually lock into place the broken height mechanism. This seat has an overall fluffy and cushiony look thanks to the padding and air-filled foam that surrounds most of it. The fabric stretches over the padding and shell smoothly and wraps around the plastic edges to disguise the plastic, and it makes for a cleaner look we prefer over covers that attach using elastic loops. The bottom of the seat is entirely enclosed and smooth. The Maxi-Cosi weighs over 18 pounds and is the widest seat in the review at 21 inches. This makes it a bad choice if you want to sit multiple seats in one row or if you need to have 2 seats and one person in the row. The Cosi is a little over 19 lbs with eight seats weighing more than this one. The Cosi earned a 4 of 10 for weight and size both as a result of the heavier weight and wider width. If you are an urban dweller and will be taking junior in taxis or utilizing Uber, the weight might be more important to you because someone is going to have to carry the seat. The real downside of the Cosi is the width; this seat measures at about 21 inches wide, which is the largest in the group. The Maxi will not be the seat of choice for parents who need to manage three seats across in a back seat or those who want to install two seats and still have room for a person to sit between them. Amazon $199.99 - 20% off!